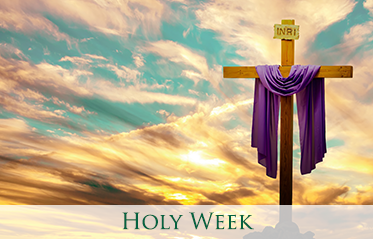 Holy Week is the last week of Lent, the week immediately preceding Easter or Resurrection Sunday. It is observed in many Christian churches as a time to commemorate and enact the suffering (Passion) and death of Jesus through various observances and services of worship. While some church traditions focus specifically on the events of the last week of Jesus’ life, many of the liturgies symbolize larger themes that marked Jesus’ entire ministry. Observances during this week range from daily liturgical services in churches to informal meetings in homes to participate in a Christian version of the Passover Seder. Increasingly, evangelical churches that have tended to look with suspicion on traditional "High-Church" observances of Holy Week are now realizing the value of Holy Week services, especially on Good Friday (see Low Church and High Church). This has a solid theological basis both in Scripture and in the traditions of the Faith. Dietrich Bonhoeffer, the German theologian who was executed by the Nazis, wrote of the Cost of Discipleship and warned of "cheap grace" that did not take seriously either the gravity of sin or the radical call to servanthood: "When Jesus bids a man come, he bids him come and die." It is this dimension that is well served by Holy Week observances, as they call us to move behind the joyful celebrations of Palm Sunday and Easter, and focus on the suffering, humiliation, and death that is part of Holy Week. It is important to place the hope of the Resurrection, the promise of newness and life, against the background of death and endings. It is only in walking through the shadows and darkness of Holy Week and Good Friday, only in realizing the horror and magnitude of sin and its consequences in the world incarnated in the dying Jesus on the cross, only in contemplating the ending and despair that the disciples felt on Holy Saturday, that we can truly understand the light and hope of Sunday morning! In observing this truth, that new beginnings come from endings, many people are able to draw a parable of their own lives and faith journey from the observances of Holy Week. In providing people with the opportunity to experience this truth in liturgy and symbol, the services become a powerful proclamation of the transformative power of the Gospel, and God at work in the lives of people. The entire week between Palm Sunday and Holy Saturday is included in Holy Week, and some church traditions have daily services during the week. However, usually only Palm Sunday, Maundy Thursday, and Good Friday are times of special observance in most churches. Holy Week begins with the sixth Sunday in Lent. This Sunday observes the triumphal entry of Jesus into Jerusalem that was marked by the crowds who were in Jerusalem for Passover waving palm branches and proclaiming him as the messianic king. The Gospels tell us that Jesus rode into the city on a donkey, enacting the prophecy of Zechariah 9:9, and in so doing emphasized the humility that was to characterize the Kingdom he proclaimed. The irony of his acceptance as the new Davidic King (Mark 11:10) by the crowds who would only five days later cry for his execution should be a sobering reminder of the human tendency to want God on our own terms. Traditionally, worshippers enact the entry of Jesus into Jerusalem by the waving of palm branches and singing songs of celebration. Sometimes this is accompanied by a processional into the church. In many churches, children are an integral part of this service since they enjoy processions and activity as a part of worship. 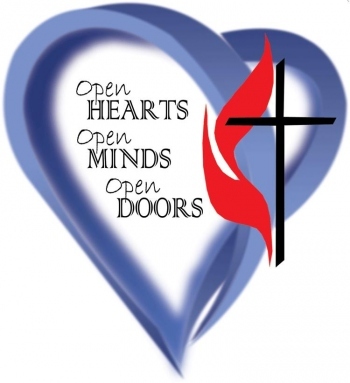 This provides a good opportunity to involve them in the worship life of the community of Faith. In many more liturgical churches, children are encouraged to craft palm leaves that were used for the Sunday processional into crosses to help make the connection between the celebration of Palm Sunday and the impending events of Holy Week. This Sunday is also known as Passion Sunday to commemorate the beginning of Holy Week and Jesus’ final agonizing journey to the cross. The English word passion comes from a Latin word that means "to suffer," the same word from which we derive the English word patient. In most Protestant traditions, the liturgical color for The Season of Lent is purple, and that color is used until Easter Sunday. In Catholic tradition (and some others), the colors are changed to Red for Palm Sunday. Red is the color of the church, used for Pentecost as well as remembering the martyrs of the church. Since it symbolizes shed blood, it is also used on Palm Sunday to symbolize the death of Jesus. While most Protestants celebrate the Sunday before Easter as Palm Sunday, in Catholic and other church traditions it is also celebrated as Passion Sunday anticipating the impending death of Jesus. In some Church traditions (Anglican), the church colors are changed to red for the fifth Sunday in Lent, with the last two Sundays in Lent observed as Passiontide. Increasingly, many churches are incorporating an emphasis on the Passion of Jesus into services on Palm Sunday as a way to balance the celebration of Easter Sunday. Rather than having the two Sundays both focus on triumph, Passion Sunday is presented as a time to reflect on the suffering and death of Jesus in a Sunday service of worship. This provides an opportunity for people who do not or cannot attend a Good Friday Service to experience the contrast of Jesus’ death and the Resurrection, rather than celebrating the Resurrection in isolation from Jesus’ suffering. However, since Sunday services are always celebrations of the Resurrection of Jesus during the entire year, even an emphasis on the Passion of Jesus on this Sunday should not be mournful or end on a negative note, as do most Good Friday Services (which is the reason Eucharist or Communion is not normally celebrated on Good Friday). During the last few days, Jesus and His disciples had steadily journeyed from Galilee toward Jerusalem. On the sunlight hillsides of Galilee, Jesus was popular, the crowds were friendly and the future was bright. Even his entry into Jerusalem had been marked by a joyous welcome. But in Jerusalem there was a growing darkness as the crowds began to draw back from the man who spoke of commitment and servanthood. There was an ominous tone in the murmuring of the Sadducees and Pharisees who were threatened by the new future Jesus proclaimed. Even as Jesus and his disciples came together to share this meal, they already stood in the shadow of the cross. It was later that night, after the meal, as Jesus and His disciples were praying in the Garden of Gethsemane, that Jesus was arrested and taken to the house of Caiaphas the High Priest. On Friday He would die. There is some difference in the chronology of these events between the Synoptic Gospels (Matthew, Mark, and Luke) and John’s account (see Synoptic Problem). In the Synoptics, this last meal was a Passover meal, observing the exodus of the Israelites from Egypt when death "passed over" the Hebrew homes as the tenth plague fell upon the Egyptians. Yet, in John’s account the Passover would not be celebrated until the next day. And while the Synoptics recount the institution of Communion (Eucharist) during this final meal, John instead tells us about Jesus’ washing the disciples’ feet as a sign of servanthood. In any case, this Thursday of Holy Week is remembered as the time Jesus ate a final meal together with the men who had followed him for so long. We do not have to solve these historical questions to remember and celebrate in worship what Jesus did and taught and modeled for us here, what God was doing in Jesus the Christ. And the questions should not shift our attention from the real focus of the story: the death and resurrection of Jesus. A new commandment I give to you, that you love one another; even as I have loved you, you also ought to love one another. By this everyone will know that you are my disciples, if you have love for one another. The colors for Maundy Thursday are usually the colors of Lent, royal purple or red violet. Some traditions, however, use red for Maundy Thursday, the color of the church, in order to identify with the community of disciples that followed Jesus. Along the same line, some use this day to honor the apostles who were commissioned by Jesus to proclaim the Gospel throughout the world. 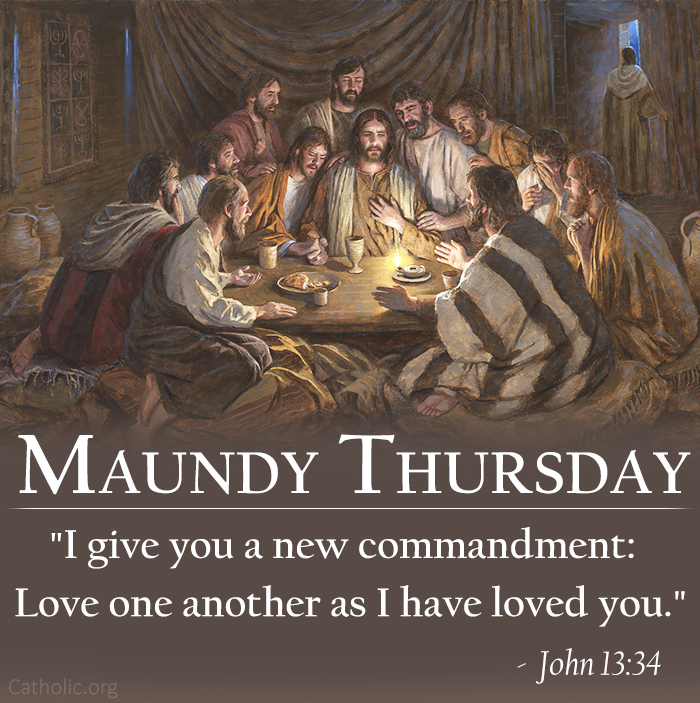 The sharing of the Eucharist, or sacrament of thanksgiving, on Maundy Thursday is the means by which most Christians observe this day. There is a great variety in exactly how the service is conducted, however. In some churches, it is traditional for the pastor or priest to wash the feet of members of the congregation as part of the service (John 13:3-15). Increasingly, churches are observing some form of the Passover Seder as a setting for the Eucharist of Maundy Thursday (see Introduction to a Christian Seder and Haggadah for a Christian Seder). Some churches simply have a "pot-luck" dinner together concluded with a short time of singing and communion. In some church traditions all of the altar coverings and decorations are removed after the Eucharist is celebrated on Maundy Thursday. Psalm 22 is sometimes either read or sung while the altar paraments are being removed. Since the altar in these traditions symbolize the Christ, the "stripping of the altar" symbolizes the abandonment of Jesus by his disciples and the stripping of Jesus by the soldiers prior to his crucifixion. This, like the darkness often incorporated into a Good Friday service, represents the humiliation of Jesus and the consequences of sin as a preparation for the celebration of new life and hope that is to come on Resurrection Day. Some churches only leave the altar bare until the Good Friday Service, when the normal coverings are replaced with black. However it is celebrated, the Eucharist of Maundy Thursday is especially tied to the theme of remembering. As Jesus and his disciples followed the instructions in the Torah to remember God’s acts of deliverance in their history as they shared the Passover meal together, so Jesus calls us to remember the new act of deliverance in our history that unfolds on these last days of Holy week (see Remember! A Service of Communion). Friday of Holy Week has been traditionally been called Good Friday or Holy Friday. On this day, the church commemorates Jesus’ arrest (since by Jewish customs of counting days from sundown to sundown it was already Friday), his trial, crucifixion and suffering, death, and burial. Since services on this day are to observe Jesus’ death, and since Eucharist is a celebration, there is traditionally no Communion observed on Good Friday. Also, depending on how the services are conducted on this day, all pictures, statutes, and the cross are covered in mourning black, the chancel and altar coverings are replaced with black, and altar candles are extinguished. They are left this way through Saturday, but are always replaced with white before sunrise on Sunday. It is also a time to remember family and the faithful who have died as we await the resurrection, or to honor the martyrs who have given their lives for the cause of Christ in the world. 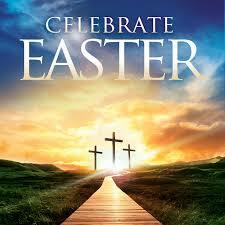 While Good Friday is a traditional day of fasting, some also fast on Saturday as the climax of the season of Lent. An ancient tradition dating to the first centuries of the church calls for no food of any kind to be eaten on Holy Saturday, or for 40 hours before sunrise on Sunday. However it is observed, Holy Saturday has traditionally been a time of reflection and waiting, the time of weeping that lasts for the night while awaiting the joy that comes in the morning (Psa 30:5). 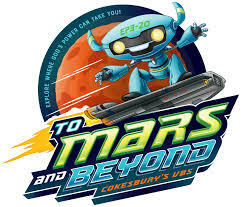 VBS dates have been set!!! Stay tuned for details on how and when to sign up!!! Join us at OLD LEB this week!!! So bring your favorite dish!!! Together we will set the dates (Wednesday- Friday ). The last week of June is the first choice and the second choice is the third week of June. Hopefully, one of these two dates will work for the majority of us. I wish to put as many people into place as possible and I have the materials ready to hand out. We need more workers and if you know someone who can help us, please bring them to this meeting. Teens aged 13 and up can help when paired with an adult. There may be smaller group meetings as we prepare to make this the best VBS ever. I hope everyone can help either before, during, or after VBS. In an effort to be courteous to all in this group, please respond directly to Kay Harvey at tnslowrider@yahoo.com. Ash Wednesday Was A Hit!!!! our first ever Ash Wednesday Drive In a succuess!!! We hope to see you again soon!!! 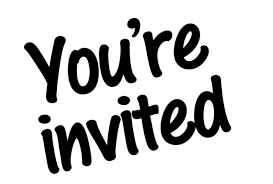 Come by Salem UMC any time between 2:15 pm and 5:15 pm and receive your Ash marking and blessing, along with a snack to get you back on the road. We will be located in the parking area in front of the church on Old Salem Road. You will not even need to get out of your car. 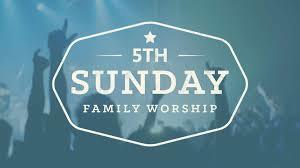 or by going to Fellowship UMC for their drive thru activity in the morning (6-9 am).